Although Easterseals Louisiana provides many services, in Northwest Louisiana we pride ourselves in the work we do in providing Transitional Housing and Supportive Housing at our Mid-City Location. Easterseals Louisiana’s Transitional Housing provides a safe and comfortable environment for our clients in need to transition into an independent living situation. Intermediate support to people with mental illness and co-occurring disorders is provided in conjunction with Transitional Housing services. Services are no more than 24 months in length to 31 residents, and are comprised of housing placement services in combination with case management to assist clients in transitioning into more permanent housing. The goal of these services is to improve the participants' overall mental health recovery by providing a safe and stable environment. Services include housing location services, money and household management, prevocational training, and medication monitoring. Our Supportive Housing is a little different and is provided by Easterseals Louisiana for adults with a serious mental illness and/or co-occurring substance use disorders. Mid-City provides 13 apartments and the supports necessary to ensure that our residents are able to successfully transition into permanent housing in their community. The goals of this program are to identify individual strengths & needs related to housing and independent living needs, link to support services away from the apartment units, and assist residents with locating and transitioning to permanent housing in the community. In total, Easterseals provides housing to approximately 45 residents year-round. As you can imagine, expenses to do so are high. Breakfast, lunch, and dinner are served seven days a week, 365 days a year. Nonperishable food items are always needed and allow us to host cooking lessons for our residents where we can teach the valuable life lesson of how to prepare food for one self. Items such as dish soap are needed daily, along with laundry detergent, paper towels, and other basic cleaning supplies to keep the facility clean. And our clients also need basic hygiene items such as body wash, deodorant, shampoo, and so on. These expenses add up over time and although we have the support a few great donors, we know that if we ask our community to help us, that they would support us in ways that we could never imagine. 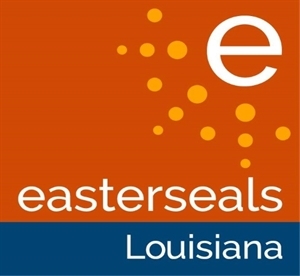 Easterseals Louisiana is asking that anyone who can reach out a helping hand and purchase even one of these products, to please do so. Although it may be just a few extra dollars for you, that expense is in the thousands when buying for so many every day. Thank you in advance for any and all help. Your donations mean a lot to those that we support. Together, we can take on disability!